I’m so excited about all the new prints Melinda has been making. I had to get this darling fox. Look at his bushy tail! 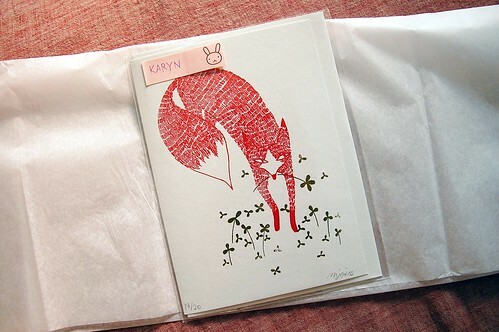 Then, I really couldn’t say no to this amazing clover print, which she just announced she is also doing in fabric. I want it all!